Xiaomi last month launched its latest line of flagship smartphone including Mi 9, Mi 9 SE and Mi 9 transparent edition. The Mi 9 comes with a 6.39-inch FHD+ AMOLED display with water drop notch. The Mi 9 packs a Snapdragon 855 SoC and comes in 6GB+128GB and 8GB+128GB RAM and storage options. 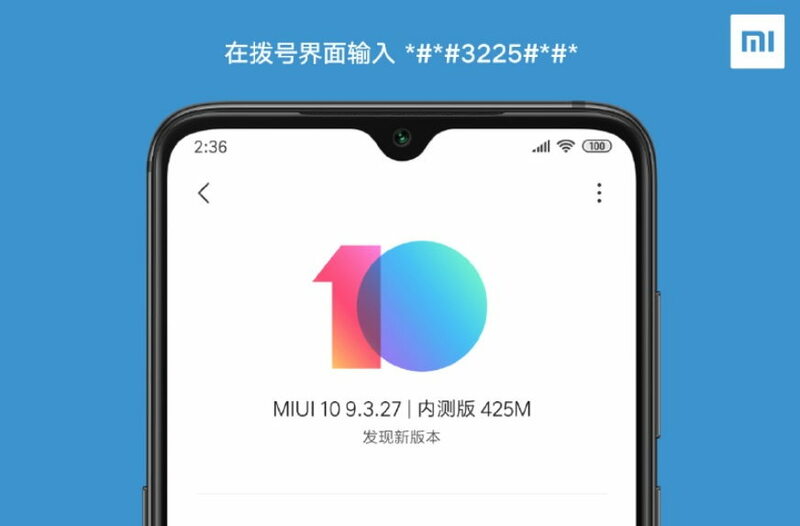 On the Software side, the Xiaomi Mi 9 runs the latest Android 9 Pie based on MIUI 10. Xiaomi seems really good in terms of releasing the latest software updates. And now it has released a new MIUI 10 Beta 9.3.27 update for the Xiaomi Mi 9 in China. The latest Beta 9.3.27 update for the Mi 9 is said to bring the DC dimming feature, similar to the Black Shark 2. However, Xiaomi’s official Weibo post says, that the DC dimming feature has just entered the internal beta version today and we expect that it would be rolled out soon. Notably, Xiaomi’s Black Shark 2 has the same feature already. The DC dimming feature automatically adjusts and dims the brightness of the phone’s display according to the ambient environment.